Selling property isn’t always easy. Even pristine property in fantastic condition can be hard to sell if the market is slow and buyers are nervous of falling house prices. Whatever the reason a property is difficult to sell, the longer it is on the market, the more stressful a situation will become. We buy any property…. even if you think your property will not do well on the open market, we can buy it from you for cash. You could have the money in your bank in 7 days after you accept our offer. Asset Rich but Cash Poor? National Residential can solve problems selling property by providing a cash advance after a sale is agreed but before it completes. What Is A Problem Property? Most experts agree the single most important factor in selling a property that is difficult to sell is getting the price right. Regardless of any historical or future value, the market value of a property is what people are willing to pay for it at the time it is offered for sale. Rather than guess what people are willing to pay for a property or try to demand a price, we let the market show us what people are willing to pay. Our job is to make sure our processes squeeze every last £ from potential buyers. To do that we make sure we market our properties to the widest possible audience and our sales model encourages buyers to compete against each other. All of our properties are listed with a reserve price so our owners have the option of accepting or rejecting the best offer we receive. We have taken the most effective strategies from a variety of sales options and spent years refining the process to deliver our FAST, ROBUST, REVOLUTIONARY sales models. Like estate agents, we start with a low ‘offers over’ price to attract interest and we market the properties to local communities through our estate agent partner network as well as on major property portals like RightMove and Zoopla. Like auctions, we limit the life of the sale process to ensure all interested bidders pay keen attention. Unlike estate agents, our process is transparent so buyers can see all competing offers at any time of day or night and unlike traditional auctions, we make sure our ‘modern auctions’ are accessible to ensure all chain free private buyers who are more willing to pay higher prices can take part. We take a holding deposit from winning bidders to secure sales and as a result 95% of all agreed sales complete. We are active throughout the completion process to ensure all aspects are completed as fast and efficient as possible. 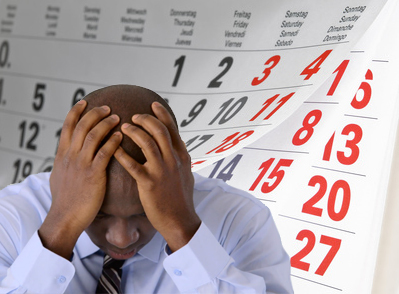 Why put your life on hold or endure more stress than necessary waiting for people to agree to wish list prices. Sell your property for the full market value fast. Call us now on 01244 757152 or use our callback form and we will phone you back ASAP. A ‘problem property’ is any property that its owner is having difficulties selling through a traditional estate agent if that delay is creating emotional of financial distress. Financial – When a property that is difficult to sell is not being used – e.g. empty inherited property, vacant buy to let properties, vacant holiday homes, unused second homes or unsold investment property – the running costs (mortgage, insurance, utilities, council tax etc) can soon put strain on household budgets and turn an asset into a burden. Frustration – Having to miss out on opportunities, adventure and/or perfect new homes due to complications, prolonged completions and broken chains is a frustration that can live with people long after the problem has passed. Depression – Making the decision to sell a family home can be difficult to make – especially if it is the result of divorce, separation, downsizing or as a result of economic need after life events like bereavement, unemployment or redundancy. Having made the decision, most people want to move as soon as possible to focus on the improvements the sale will make. Being trapped in a routine and place that prevents people moving on with their lives can have a significant affect on their mental health. Increased Debt – If debt is left unattended, it can dramatically spiral out of control. Charges, fines, fees and/or court costs can add tens of thousands of pounds to growing a relatively small debt into something much bigger. Sometimes the cost of waiting for a better price can be counterproductive financially. A fast property sale can stop debt increasing and end an unpleasant time of uncertainty. Repossession – Home owners who have interest only or endowment mortgages can find themselves unable to repay the loan. In many cases the only option available to them is sell their homes to repay the debt. If there has been sufficient growth in a property value over the term of the mortgage, home owners may be able to repay the mortgage and buy a smaller property using the equity plus the value of the endowment. To secure bonuses that are paid only if the endowment reaches its full term, some owners leave the downsizing process until the mortgage repayment is due. Unfortunately, not all lenders will temporarily delay repayment while the owner waits for a house to be sold. In the worst case scenario, they can start a repossession process. If a property is repossessed generally the amount owed will increase and the sale value will decrease. Anxiety – Selling a house is never going to be stress free – it’s a time when strangers want to look around your home to decide if they want to buy it. While a lack of offers can be hard to accept, a lack of interest is even worse. When selling a house traditionally, estate agents will always start off with the highest price they think is possible – even if it’s not very probable – reducing the price every 3 months or so until eventually it is what someone is willing to pay. The negative side of the ‘ambitious’ pricing strategy is potentially long, costly and anxious wait to sell property.We think a far better option is to start low in order to generate interest quickly and let competition between bidders push the price higher (usually to about 95% of the price an estate agent will reach working from high to low). Our sellers are happy to take a slightly lower sale price in return for a 28 day sale and less stress while the sale completes because our buyers pau a holding deposit to secure the sale. Avoid prolonged suffering as a result of not being able to sell property as fast as you need to or would like to. Contact us using the form opposite and we’ll phone you back. Or start the conversation now by phoning us on 01244 757152 (Mobile Friendly) or 0800 6123694 (Freephone). 1) Contact us to discuss your property and any problem you have already experienced selling it. We will look at recent sales prices in the area and discuss the effects of any problem on the estimated sale price. We will explain our sales options in context of how they can help you solve problems selling property and run through some figures – e.g. reserve prices, starting price, target prices. 2) IF you are happy in principal with our risk free options (no sale, no fee and no obligation to sell), we will visit your property to confirm or adjust the estimated figures in accordance with your property condition and take photographs (if appropriate). 3) We will confirm or revise our expectations in writing for you to decide if you are happy to use our services. If you agree, we will prepare a contract for you to sign. If you are not, there’s nothing more to discuss – you simply walk away. If you want a 7 day sale, we will begin proceedings to buy your property and we will deposit the agreed amount in your bank within 7 days from our offer being accepted. If you are happy to wait for a 28 day sale, we will advertise your property locally and online (on property boards such as RightMove, Zoopla etc) and list your property in a 28 day auction style sale (using either our Modern Auction or our Registered Auction platforms dependent on your preferences). Some people think estate agents or home owners set house prices but in reality buyers and competition set house prices by their interest and willingness to buy. Estate agents can only guess the prices people will pay for a property and lower their guesses until eventually they reach a price the buyer is happy to pay. Estate agents can expect to sell for slightly more than we can achieve because we only accept offers from chain free buyers who are willing to pay a holding deposit however our clients are happy to sacrifice a small difference for the speed and security of a sale through National Residential. As a seller, will I have to give up control of the sales price? Absolutely not. We set reserve prices for all our auctions so if you are selling your property through our fixed price option and we fail to achieve the price you have agreed to accept, you will have the choice if accepting a lower offer or refusing any offer. If you refuse all offers, you simple walk away. No sale, no fee. We take all the risks and absorb any costs we have encountered presenting your property for sale. I don’t want to sell my property by auction. Although our Modern Auctions might look like traditional auctions, there are key differences.The most notable is the typical selling price – ours is usually within 5% of the prices achieved at estate agents whereas auctions are typically significantly lower. We put this down to our involvement – we do not sit back and let the auction process do all the work; we actively engage with our bidders to ensure we answer any question they may have and guide them through the process. Also, our Modern Auctions have a long bidding window, potential bidders can bid 24/7 and the closing time is convenient for buyers to generate as much competition between bidders as possible. Our sellers can choose to accept a lower bid if it is a better option for the seller or no bids if they set a reserve price. Estate agents frequently value property at more than they expect to achieve – partly to win representation (who doesn’t want to hear they will receive an extra £10K) and partly to provide buyers with room to negotiate a lower price.Sometimes it works but unfortunately most times it doesn’t and they expect to lower the prices after prolonged periods of no interest knowing eventually, they will find the price buyers are willing to pay. On the other hand, by starting with a low ‘offers over’ price to attract interest, we expect to end the sale with a price higher than the one we start with. We know from experience that the strategy works but we also have our Sold Properties Page so you can see the last 400 sales and decide for yourself. We also suggest you do your homework and compare the prices we achieve to similar property sold through estate agents. We think you’ll be surprised at how close we get in 28 days to the price they take months to achieve. Do you take advantage of a desperate situation ? No we do not. We have been providing home owners with the choice to sell problem property quickly since 2006 and we’re in it for the long term. Our longevity depends on us providing homeowners with valuable and useful options AND providing a better deal that our competitors.The discounted price we offer when we buy your property in 7 days (70 – 80%) reflects the financial risk we take (there is no certainty that we will be able to sell the property at a later date), the costs associated with a sale and a realistic potential resale price. It is the HIGHEST we can make to remain profitable and compete with other companies offering similar options. We offer a better price with our fixed price option (80 – 90% with cash advance if required) because the financial risk we take is less and we do not need to raise such a large amount of capital. Again it is the highest offer we can make taking all costs into account while remaining profitable and competitive. Lastly, for homeowners simply wanting a fast sale, we offer our 28 day 100% value sale. It is similar to a traditional sale but faster. Because we only accept offers from buyers who are not in a chain and can pay a holding deposit to secure the sale, we normally achieve about 95% of the price similar properties sell for through an estate agent in significantly less time. It is a price our home owners are willing to pay for s fast, secure sale. While inherited property is a tremendous gift to receive, it can become a problem property to sell when it causes cash flow problems and tension amongst beneficiaries if the property is empty for long periods and/or the property requires repair or modernisation.While the probate process usually takes six months to a year, it can take longer if the executor delays his duties or if the estate is complicated. Add to that another 6 months (on average though property that is difficult to sell can take significantly longer) to agree a sale and complete through an estate agent and it’s easy to see how the additional running costs (insurance, security, utilities, council tax etc) can cause problems to a limited budget and havoc to personal routines / free time. If proceeds from a property is to be shared amongst siblings (or others), each will have different needs and wants – while some may want a fast sale, others might not want significant compromise on the selling price. Our 100% Market Value sale in 28 days will satisfy all requirements – although the sale price we achieve is usually appx 5% lower than an estate agent will achieve in 6 months, it is significantly more likely to complete due to our rigorous buyer approval processes. Properties can be deemed unmortgagable for a wide variety of reasons.The most basic test for determining whether a lender can offer a mortgage on a house or flat is whether it is habitable which usually means having a kitchen, a bathroom and a roof. short leaseholds (typically less than 70 years) or where no management company exists. damp, dry or wet rot. boundary disputes or where planning applications have not been applied for correctly. The Misrepresentation Act 1967 means it is illegal to sell property with know defects or problems and deliberate, significant misrepresentation can result in rescission of the contract, meaning sellers have to buy back their old property and cover any expenses of the buyer, including mortgage interest and legal costs. It is possible to sell a property with these problems to a cash buyer if they are clearly identified as part of the sale however it may be more cost effective to fix the problems in advance of the completion. If some problems are rectified before a sale is completed, they do not have to be listed in the sale – e.g. by extending a leasehold before the sale completes, sellers do not have to declare a short leasehold in the property description. By selling problem property using our 28 day Fixed Price option, we can release a cash advance as soon as a sale is agreed to fund essential work and/or processes. 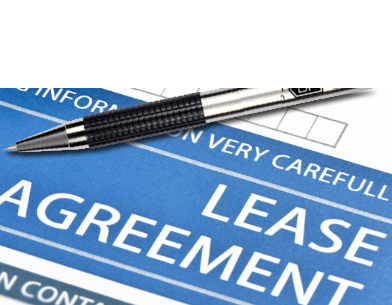 If a leasehold property has less than 70 years on a lease it is usually considered un-mortgage-able. Use the cash advance available in our Fixed Price sales option to extend a lease prior to completion to ensure you receive the maximum amount for your property. Because owners of apartment leases that were originally at least 21 years in length can only apply for a 90-year extension after two years’ ownership and the delay and/or uncertainty a new buyer will experience will further affect the selling price of the property, the best option to to sell a London property with a short leasehold is to extend the lease before the sale. When a couple separates or divorces sometimes the best option for all parties is to move on with life and away from a shared home full of painful memories – especially for the person left behind if one person moves out.Sometimes neither person can afford to run the property as a single person so the person who has moved out has to maintain mortgage payments in addition to their new expense and cannot plan a new mortgage with an existing loan. The added financial pressure of running separate living arrangements can turn a mutual decision into an acrimonious split. A fast sale for the full market value allows all parties to move on with their lives with minimum losses while a fixed price sale provides a cash advance that can be used to secure alternative accommodation while the sale completes. Home owners who have interest only or endowment mortgages can find themselves unable to repay the loan. In many cases the only option available to them is sell their homes to repay the debt. If there has been sufficient growth in a property value over the term of the mortgage, home owners may be able to repay the mortgage and buy a smaller property using the equity plus the value of the endowment. To secure bonuses that are paid only if the endowment reaches its full term, some owners leave the downsizing process until the mortgage repayment is due. Unfortunately, not all lenders will temporarily delay repayment while the owner waits for a house to be sold. In the worst case scenario, they can start a repossession process. If a property is repossessed generally the amount owed will increase and the sale value will decrease. If the problem has reached the repossession process, National Residential can halt the proceedings by buying property in 7 days and informing the lenders of an agreed sale. BANKRUPTCY CHARGES CAN DOUBLE A DEBT. You could lose your home and ADD bankruptcy fees and/or costs of up to £60,000 if you let trustees control repayment of your debt*. *A trustee charged to manage a banckruptcy and ensure all debt is repaid can charge c.£300 per hour and you could be charged a Secretary of State fee of 17.5% on the amount raised from the sale of your home to repay your bankrupt debt. Meanwhile, your bankruptcy creditors can also claim 8% statutory interest on outstanding amounts. You will save money the sooner you can repay your debts. Your house can be forcibly sold up to three years after your bankruptcy order if there is no other way to repay your debts. You will probably get a higher price for your house if you sell it yourself and you could avoid thousands of pounds in added cost. It is important to avoid repossession if at all possible to ensure you get the best price for your property because if the property is sold for less than the loan or the amount does not cover the added fees and costs, the debtor is liable for the difference. In other words you may lose your home and still be in debt. Although they are legally obliged to accept the highest offer for the property, they are unlikely to prepare the property for the best impression or to ensure they choose the best option to sell the property. Many repossessed properties sold at local auctions are snapped up by property developers at a very low price simply because they are not widely advertised, frequently held at inconvenient times for people in full time employment and the properties are not ‘dressed’ for best presentation. In urgent situations, we can buy property in 7 days for 70 – 80% of the estimated value to halt a repossession order to give you time to arrange alternative accommodation or with more time to solve the problem, we can sell your property in 28 days for a fixed price (80 – 90%) so you can take a cash loan from any equity in the property to secure new accommodation. NB. The discounts we deduct reflect the risk we take buying property we may not be able to sell on to other buyers and our finance costs. It is the highest we can offer and remain profitable while still competing with other quick sales companies. It is not taking advantage of a desperate situation. We also know if the offers we make are not a better option than allowing a house to be repossessed, no one would take them. 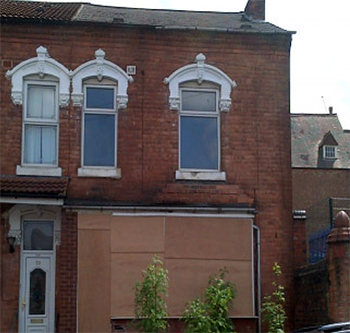 We believe our offer would be better than the price the property would achieve at auction. Feedback from potential buyers is a valuable tool and it is important to listen carefully – e.g. 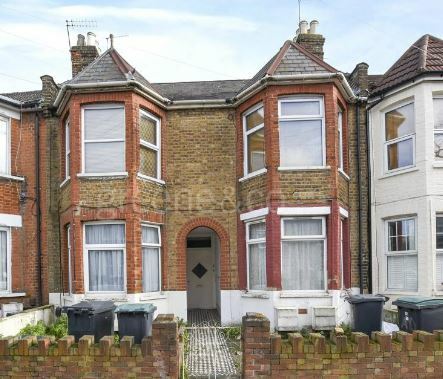 if a person who has viewed the property says they are not interested because a property is too small, do not spend time trying to persuade them they are wrong or take offence; instead look at removing clutter and other ways to emphasise the space you do have.If you have not had any viewings, consider the ‘kerb appeal’ because the first impression most people look for is the exterior so make sure that the property is attractive from the outside and looks well maintained. Make sure all paintwork is fresh and keep plants watered. If the outside of the property is attractive and looks well maintained, the most probable reason for no interest is the asking price. Unfortunately, when selling through an estate agent, it is impossible to reduce the asking price without it impacting on the sale price. However, although ultimately our starting prices are set by our clients, by selling through our Modern Auction type sale model, we can start property at very low prices that are sure to attract attention without compromising the sale price potential. In June 2017, National Residential purchased a property with a short leasehold in London in just 3 days. The flat’s owner had the combined problems of a very short lease along with an absentee freeholder so had no way of extending their lease to sell on the open market. National Residential stepped in and we completed on the purchase in just 3 days – we started the instruction on a Friday and completed by the following Tuesday.